Julie Payette (ECE MASc 9T0), the U of T Engineering alumna and astronaut who was the second Canadian woman in space, has been installed as Canada’s 29th Governor General on Parliament Hill. 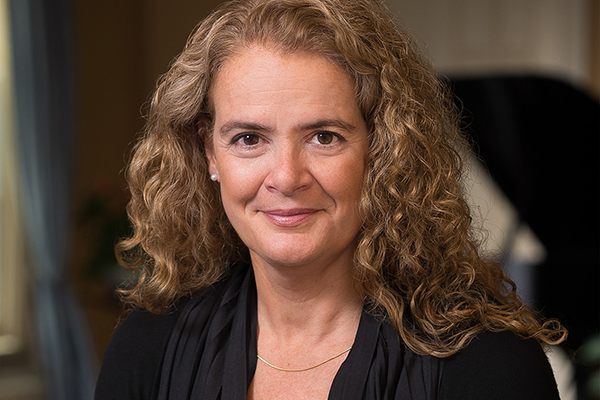 Payette, who was accompanied by her parents and 14-year-old son Laurier, used her first speech in office to make an impassioned plea for Canada to make evidence-based decisions and to continue trying to solve global challenges. U of T Mississauga alumna Roberta Bondar, the first Canadian woman in space, was among the dignitaries who watched Payette take the oaths of office. In her speech, Payette recounted her path to the stars, which began when she was a girl watching the Apollo space missions on TV. Payette earned her master’s degree in The Edward S. Rogers Sr. Department of Electrical & Computer Engineering in 1990, after obtaining a bachelor’s from McGill University. In 1999, she went to space for the first time, becoming the first Canadian to board the International Space Station. On that mission, she supervised the spacewalk and operated the Canadarm robotic arm. She returned to space about a decade later on the space shuttle Endeavour. Prime Minister Justin Trudeau praised the new Governor General’s discipline, commitment and passion. “As an agent of change and a powerful voice for progress, Canada’s two-times extraterrestrial will bring a new perspective on Canada and its place in the world,” he said. 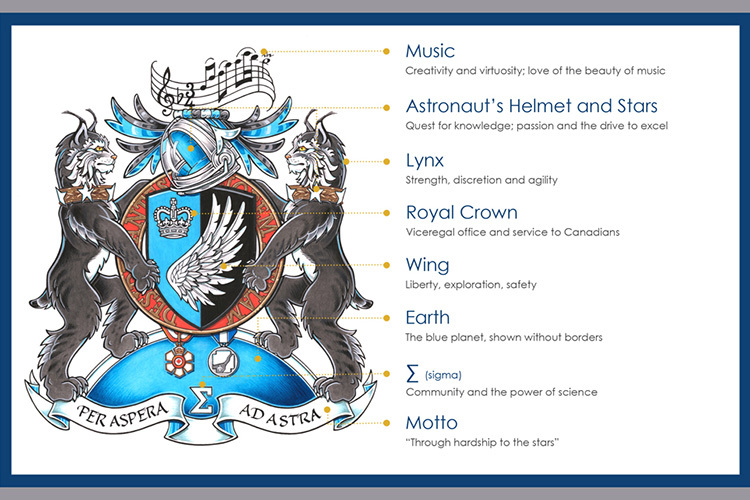 As per tradition, the Canadian heraldic authority designed a coat of arms for Payette with symbols representing her interest in classical music, her career in space and the quest for knowledge. Payette’s many talents include the ability to speak six languages, piano and choral singing. She chose some of the music that was played during the ceremony, including Fanfare for the Common Man by American composer Aaron Copland, which has been used as wake-up music on shuttle missions.